Back by popular demand! 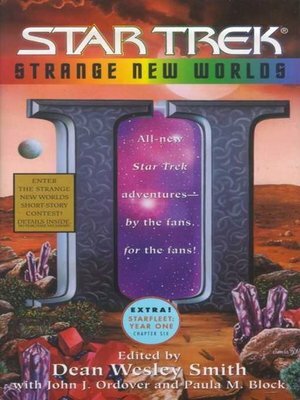 Our second anthology featuring original Star Trek, Star Trek: The Next Generation, Star Trek: Deep Space Nine, and Star Trek: Voyager stories written by Star Trek fans, for Star Trek fans! These tales rocket across the length and breadth of Federation time and space, from when Captain Kirk explored the galaxy on the first Starship Enterprise™, through Captain Picard 's U.S.S. Enterprise 1701-D and from Captain Sisko's Deep Space Nine to Captain Janeway's Starship Voyager™, with many fascinating stops along the way.